Choosing the perfect venue for your wedding is often the biggest and most stressful decision… and often the first one you make. We have the joy of traveling to some spectacular locations (because our brides have great taste) and are thrilled to share what we find with you!! Today we’re visiting Crossed Keys Estate where Kat + Kev’s stunning wedding took place! Crossed Keys Estate is a stunning, historic location that’s perfect for an elegant countryside wedding. It was built in the 1790’s… the estate house, playhouse, and stone cottage were a place for out-of-towners to escape the bustling city life and enjoy the rustic charm of Andover, NJ! How cool?! 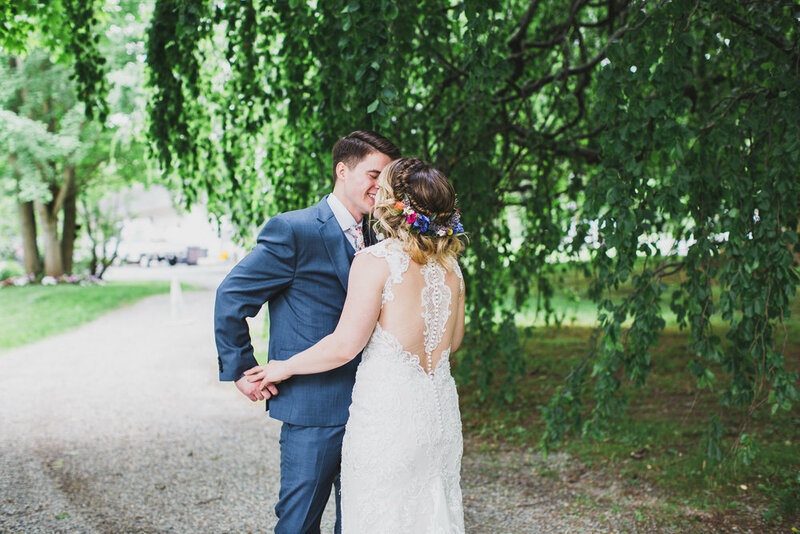 We loved the peaceful nature of the 200 year old trees, cool breezes, and sprawling meadows that create the most beautiful background for any style wedding. Nature as the backdrop always wins in our book! 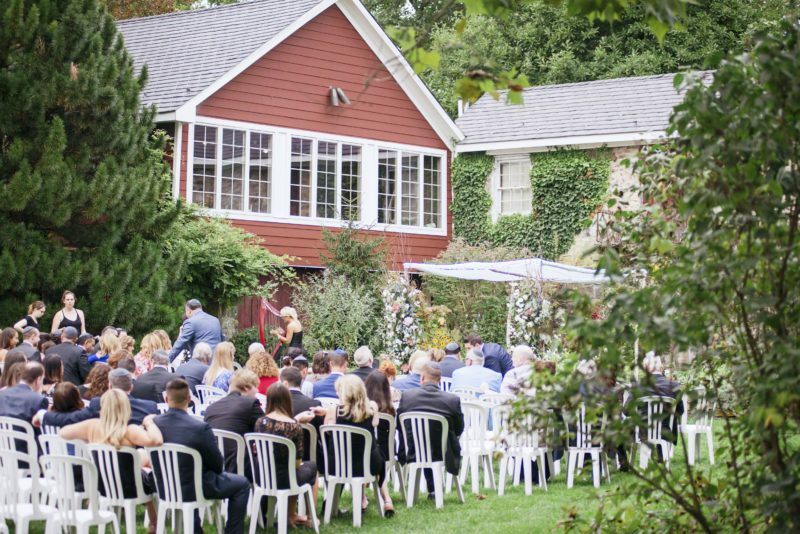 Crossed Keys Estate has hosted over 600 weddings, and their service shows it! We were so impressed with the small, but meaningful details they went above and beyond to provide for their clients. We were definitely won over during Kat’s glam session! 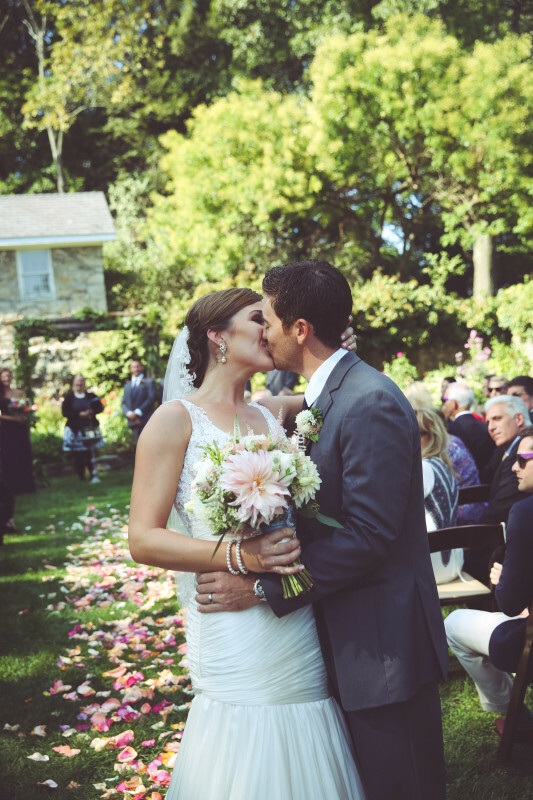 Crossed Keys Estate is New York and New Jersey’s perfect indoor or outdoor wedding venue. They also provide catering, wedding flowers and bouquets, and event planning, with a rustic elegance that you and your guests will never forget. There was a blissful, relaxed + warm vibe on Kat and Kev's wedding morning! The Crossed Keys Estate definitely knew how to pamper the bridal party: the owners of the venue brought over a homemade breakfast; mid-morning, a staff member brought in gorgeous fresh flowers just to brighten everyone's day; and my fave touch, was that they handmade a half-flower crown for Kathleen using flowers from their garden! How dreamy is that?! With such great people and vibes this boho dreamy wedding was truly stunning! Contact us to see if we have your date available! Join our mailing list for Inspo, TIPS & giveaways! Made Up On The Go #realweddings: How We Transformed Gleny's Fine Hair + How You Can Too!